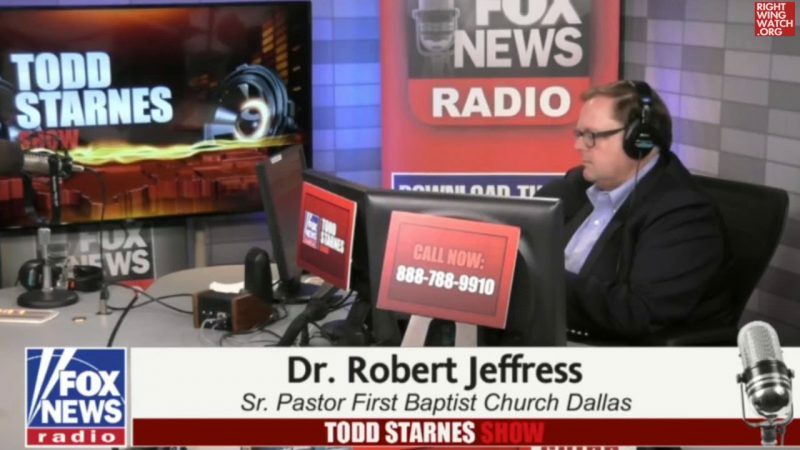 We noted on Wednesday that Robert Jeffress, one of President Trump’s earliest and most adoring Religious Right supporters, had been criticized by a Dallas columnist and the city’s Christian mayor for billboards put up by his First Baptist Church declaring “America is a Christian Nation.” After receiving complaints, the company that owned the billboards decided to take down the ads, while another company offered to replace the original two billboards with 20 touting the church’s message. 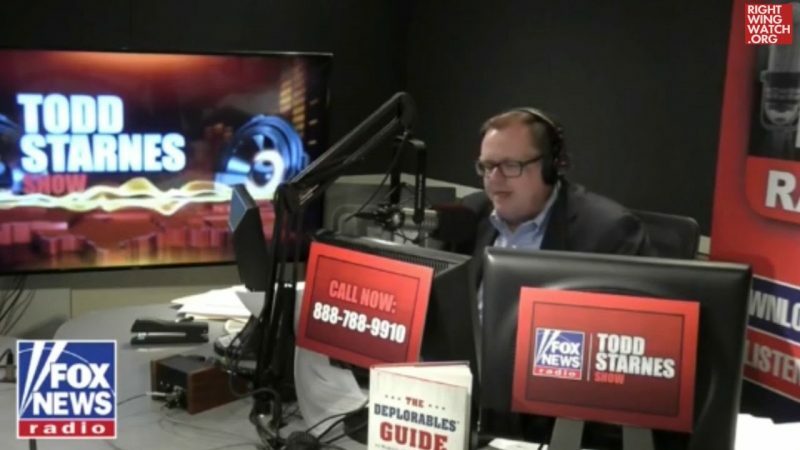 It should greatly concern people of any faith when those in the press or government proactively seek to defeat, censor or silence any religious message with which they disagree,” Jeffress said. “We don’t believe Dallas city officials have any right to directly or indirectly be involved in censoring a church’s message. Jeffress’ dishonest slam on the newspaper is a perfect example of Religious Right double-speak on free speech. 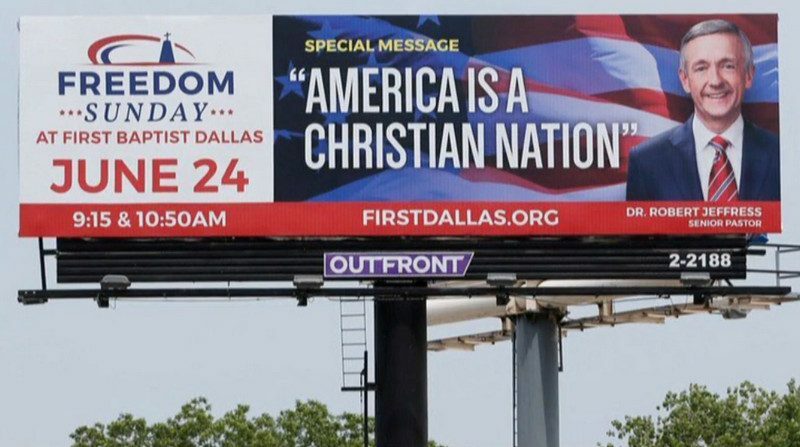 Columnist Robert Wilonsky thought that the message on the billboard, “America is a Christian Nation,” was divisive, and he said so in his column, writing that the billboard he saw while stuck in traffic felt like “someone telling me and everyone else who does not worship Jesus Christ that we do not belong here.” The newspaper didn’t try to “censor” First Baptist’s very public message; it simply criticized it. That’s free speech in practice. There is no evidence that either the mayor or columnist who criticized the “Christian Nation” message as divisive had anything to do with pressuring the billboard company to take the signs down. In fact, as Starnes notes, the mayor has specifically stated that he didn’t.